theBalm had released a similar set for the holidays last year in 2016 and it had some of their most popular shades. I had purchased that set as well and I was quite happy with it. We get a decent amount of product in each lipstick so it did last me quite a long time and I am still using it. In the holiday set, I find that only 3 shades suit my tan skin tone really well so I don’t really wear the other 3 shades (Sincere, Committed, Doting). When I saw this new set I could that there are more shades which will suit my skin tone better and I will get a lot of use out of it. 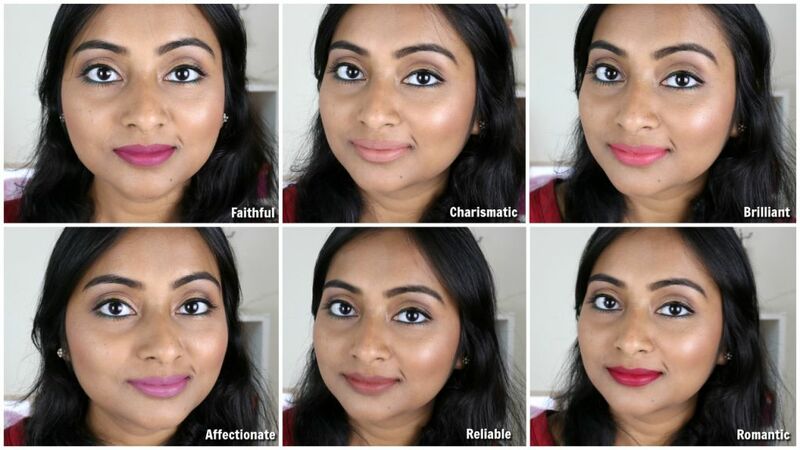 I am very happy to say that 5 of the 6 new shades do suit tan skin tones quite well. You will see in the swatches below. 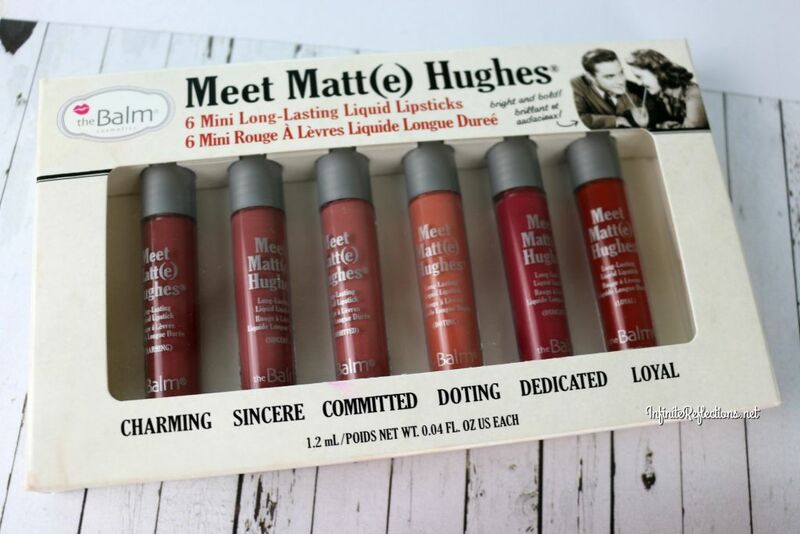 I think these sets have a really cute packaging, how they have laid out the lipsticks, they really make a nice display. But, we care about the actual tube and not the cardboard casing, don’t we? 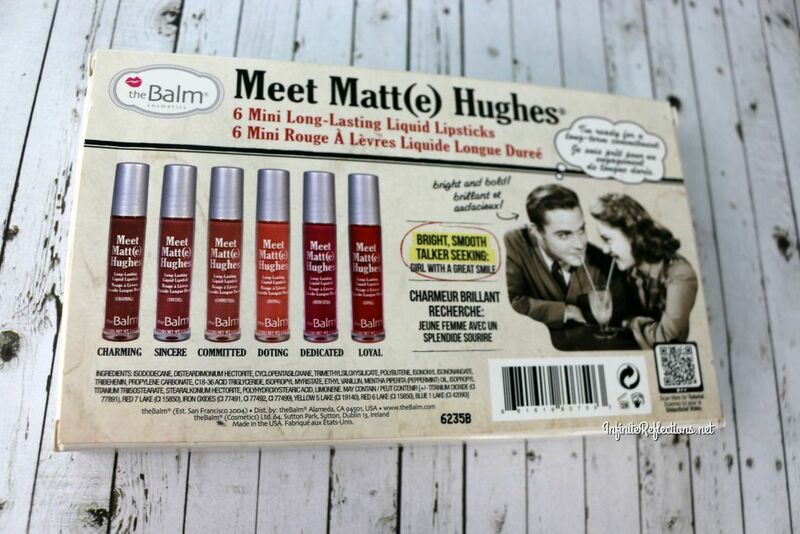 The mini liquid lipsticks are very similar to the packaging of the full sized liquid lipsticks. They have similar acrylic packaging with a silver cap just like the original ones. On comparing the wands, we can see that there is not much difference, the wands of the minis are also designed in the same way and have the exact same size as of the full sized ones. The wand is a standard doe-foot applicator and I did not have any issues with it. I can very easily get a quite precise and neat application because of the slanted edge. In a full sized bottle, you get 7.4 ml / 0.25 Oz of product and these minis have 1.2 ml / 0.04 Oz of product. In Singapore, each full sized lipstick costs SGD 37 and the set of 6 is price at SGD 36. 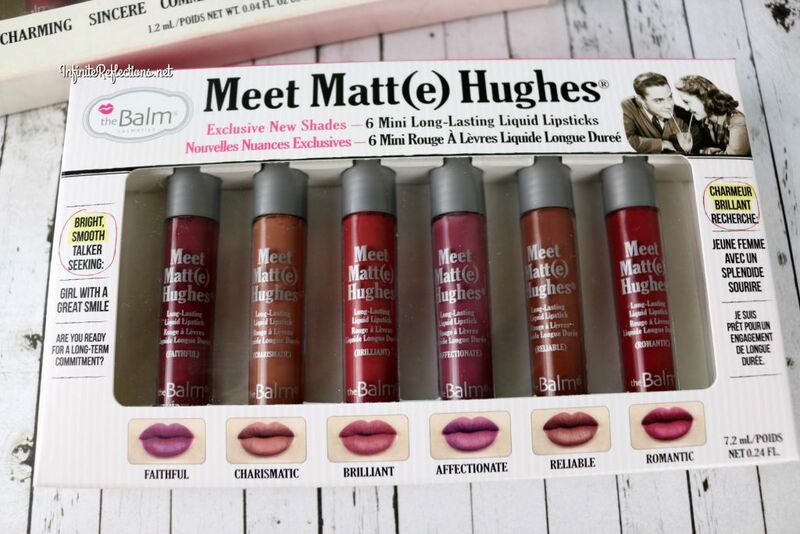 I think this is an excellent value since you are getting the same exact product but 6 different shades to try. The mini liquid lipsticks have a very good pigmentation and you can get full opacity in one swipe. 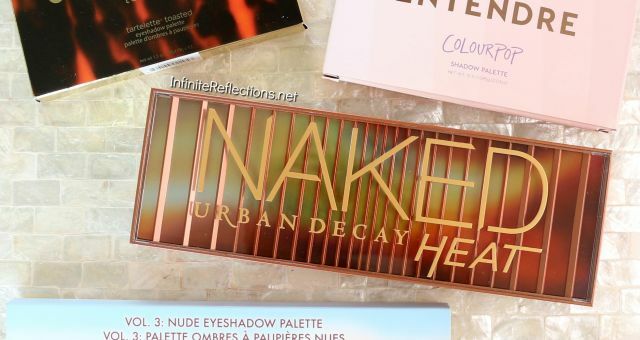 For the lighter colors, you might have to go in with 2-3 swipes (specially if you have pigmented lips), but the deeper colors show full opacity in one swipe. 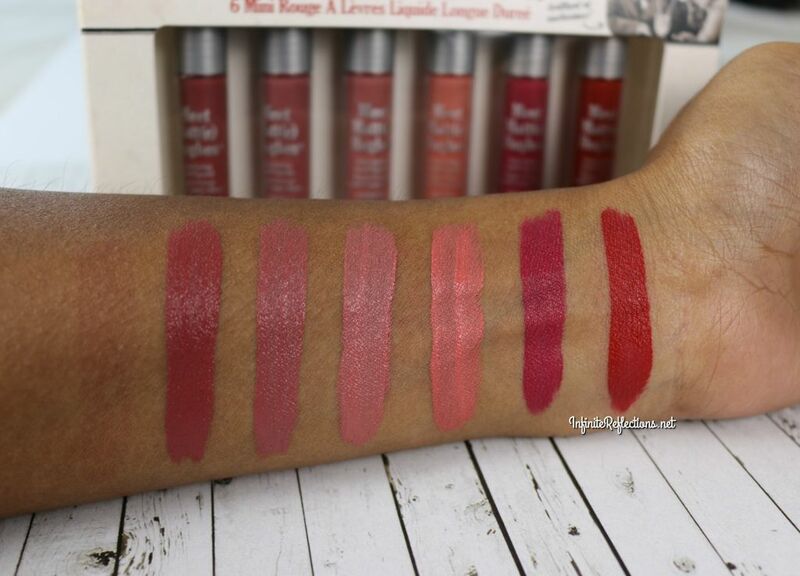 These liquid lipsticks are not very liquid like but have a soft mousse like texture. 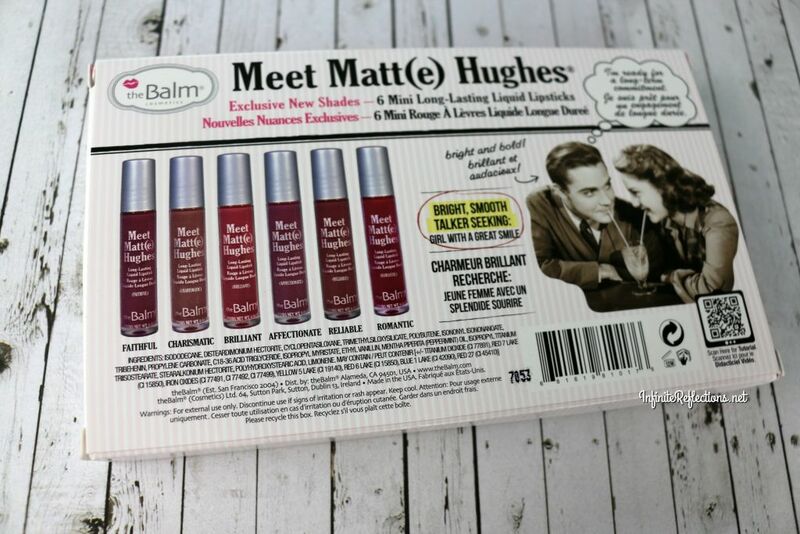 They also have a slight minty smell and sensation on the lips which I really like. They are very easy to apply since they are not too liquidy. 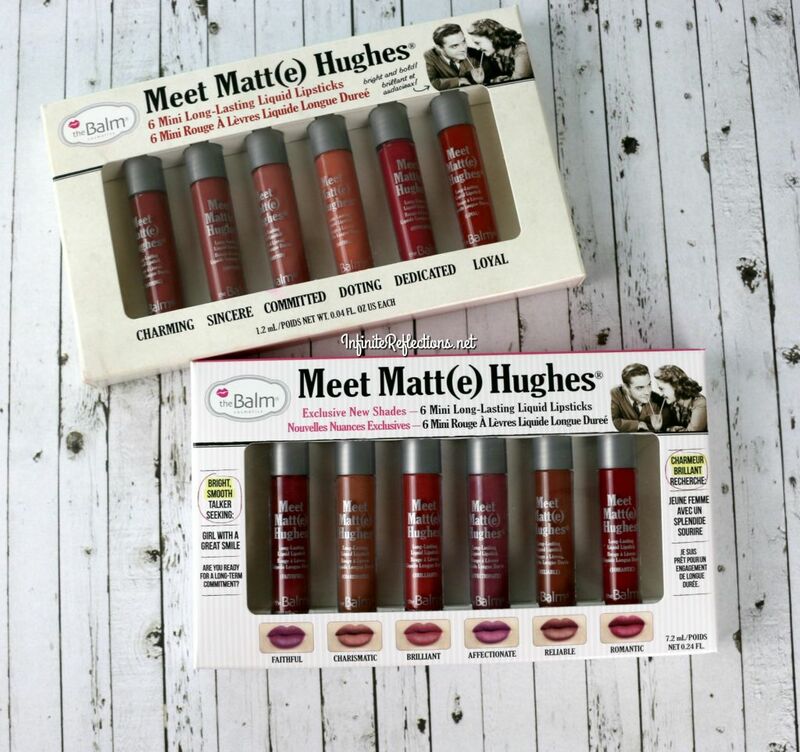 They have a matte finish on the lips but they do not feel so immediately after your have applied the lipstick. I find that these lipsticks gradually dry down to a complete matte finish. For the most part of the wear, they feel a little bit tacky on the lips but they do appear completely matte. There is no gloss or shine, whatsoever. As mentioned, there is a little bit of tackiness with these liquid lipsticks for a few hours because of which they are very comfortable. The tackiness is not really bothersome and I quite like that the lips don’t feel completely dry after applying this. 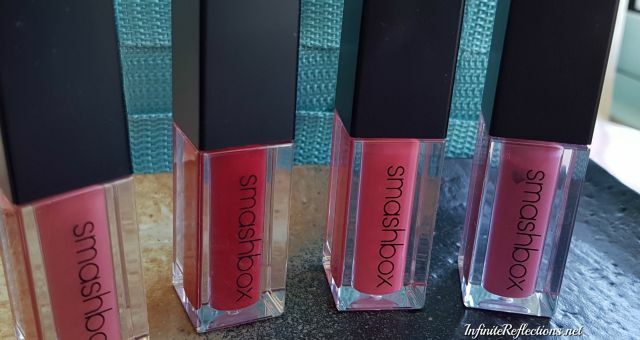 But, I have noticed that probably after 5-6 hours, the tackiness dies down and the lipstick dries down to a drier matte finish, like any other good liquid lipstick. When they start to dry down a little bit, they might feel uncomfortable to few, depending on what your preference in liquid lipstick is. 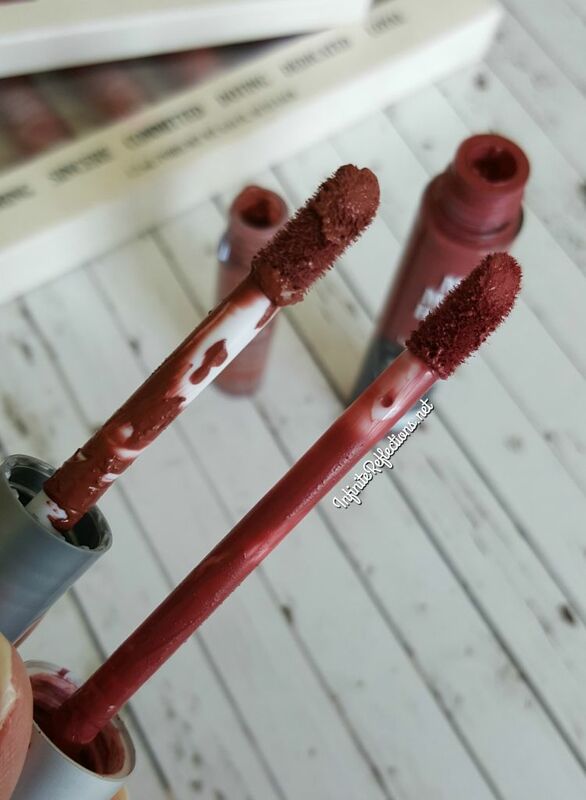 As all liquid lipsticks can get a little bit uncomfortable towards the end of the wear, I still find that these are pretty comfortable. Strangely, I find that the minis tend to take longer to dry than the full sized ones. I am not sure if there is a slight difference in the formula. 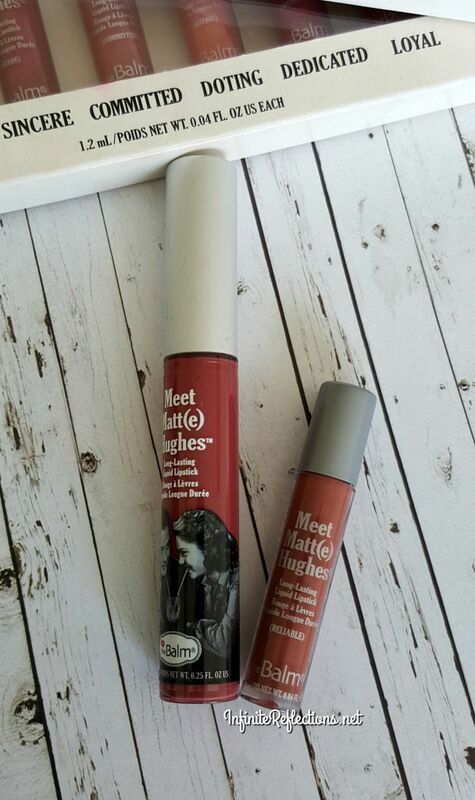 These are very long wearing liquid lipsticks and can last unto 8 hours on the lips. They can easily survive coffee and light snacks. They do not tend to fade away so easily on me until and unless I have really oily food. When initially applied, the lipstick does stay a bit tacky for some time hence there is just a tiny amount of transfer. Its not very noticeable and sometimes it doesn’t transfer all. But, definitely once dried completely matte, these do not transfer at all. 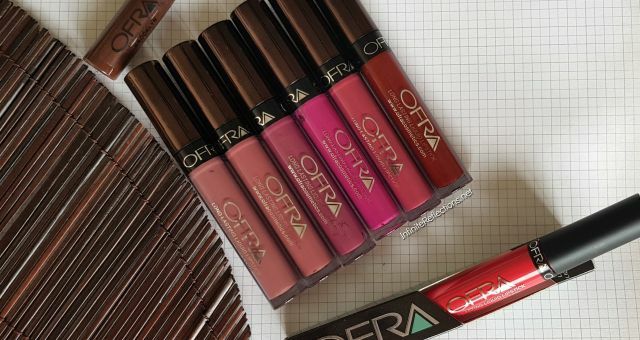 You have to use oil to remove these lipsticks, since they have a very good staying power. Below are the swatches of the holiday set. The swatches look glossy here because I took the photo almost immediately but they dry down matte. Below are the swatches of the new shades. 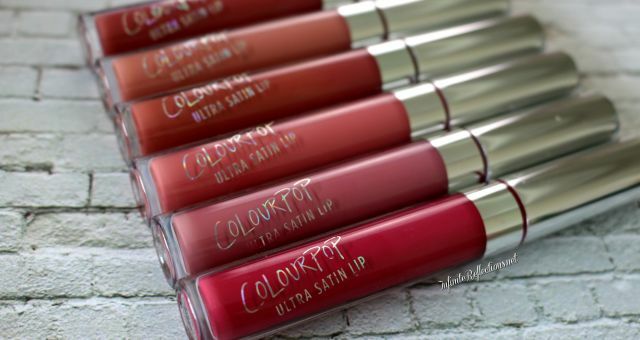 Overall I think these are very good quality liquid lipsticks which are comfortable yet quite longwearing. I would definitely recommend them. I like this new one better too! Watched the video but still came here to know if this post had anything different.very well explained. I loved this new one. Faithful and Reliable are my favs.